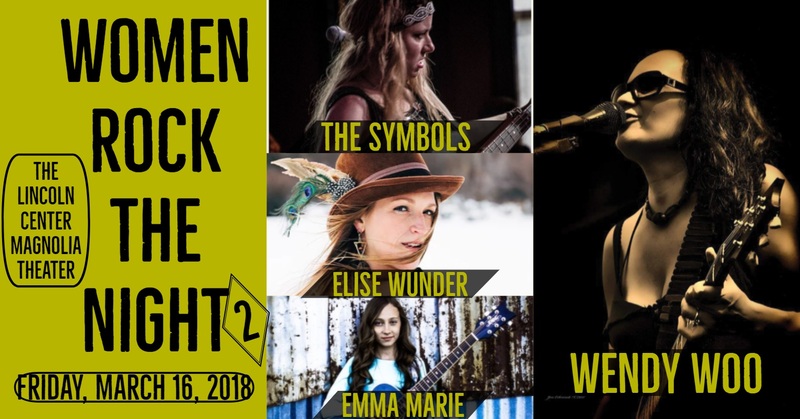 The Symbols are a female fronted blues/funk/rock trio from Fort Collins, Colorado, formed in 2010 by guitarist Jasco (Blinddog Smokin') and vocalist/songwriter/bassist Mer Sal. They write their own music, in addition to re-stylizing popular cover tunes to be different styles than they were intended originally. The Symbols formed in a melting pot of blues-rock, urban funk, Motown roots, and soul revival, performing across the West with many cool players in the Blues/Funk/Rock genre. The Symbols have shared the stage with many in the national blues scene from Miss Blues to Trampled Underfoot to Southern Avenue Band to Jason Ricci and the Bad Kind. While staying in the realm of modern female blues acts, The Symbols try to bring their own definitions to what may be considered the blues. The Symbols received the 2017 Holley Award for "Best Arranger" by the Colorado Blues Society (CBS). In addition, The Symbols are representing the Mile-High Blues Society (MHBS) in Memphis, TN in January of 2018 for the International Blues Challenge (IBC). She does it with a voice of oak and leather; a tone that’s soft and comforting but with an unmistakably solid foundation. Her style is heavy in a way that does not suggest world weariness so much as it does wisdom and an old soul. Her voice will take you by surprise, especially when she sets it loose at an unexpected moment and you realize the power that she has been holding back. It’s her song writing (somehow wistful, promising and familiar, and completely new) that is quietly staggering. Her lyrics, written in a stream of consciousness style that leaves wide space for personal interpretation, are nonetheless clearly autobiographical. The most subtle aspect of Elise Wunder’s music is the thin line of darkness that runs through the center of it all. Whatever it is, it’s easy to overlook in her songs, comes naturally to the singer, and is the final ingredient necessary in creating truly soulful music. Emma Marie is a 13-year old singer songwriter from Northern Colorado. She is petite in stature, but the power of her voice conveys her passion for music. In the summer of 2014, she performed her first two original songs to win a singing competition called "Big Country's Got Talent" at Cheyenne Frontier Days. Through her ties with Blue Star Connection, she has the privilege of bringing music to the lives of children and young adults with challenges and life-threatening illnesses. She was awarded "Performer of the Year" for 2016 at Blue Star Connection's yearly benefit event. Emma Marie has performed at various festivals, including Blues from the Top, Loveland Fire and Ice, Realities Ride, Night Lights, Carnation Festival, RAMP/lLineage Festival at Mishawaka, Demolition Derby, Greeley Stampede, Open Streets, and Bohemian Nights at NewWestFest in Fort Collins. At NewWest Fest, she was the youngest to play on the adult stage.